Check Processing Solutions that work! DRS provides world class Check21 Software Solutions. We install Check Scanners, Check 21 Software, as well as Remote Deposit Software/Hardware (RDC). We also sell and install Document Management Software solutions. We are an authorized reseller for Canon, Panini and Filebound check scanners and scanning products. With large processing facilities in New York, New Jersey, DC Metro, Atlanta, Miami, Houston, and Puerto Rico, DRS is also an authorized reseller of industry-leading Check 21 and document management software solutions. C&A Associates, a leading document management software company, has selected DRS to be one of its major resellers, as has Westbrook Technologies. DRS has the technical expertise and leading-edge technology to create a custom solution that processes, converts, stores and displays checks and other remittance documents according to your specifications. We have extensive experience satisfying the requirements of banking and financial customers with our check scanners and document management software products. Our powerful solutions can help your organization meet Check 21 processing and check truncation compliance requirements. 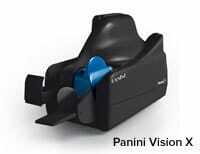 DRS provides state of the art check scanners. With the Canon CR-190i and CR-80, we are able to provide for both small and large institutions. No matter which model of check scanner you choose, innovation and value are a top priority. 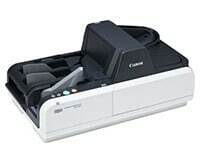 After all, that’s what people expect from Canon’s CR-Series check scanners, which offer high-performance features that make capturing checks easier, such as high-speed precision feeding technology, compact design, MICR reading, pre-scan endorsement and even a built in jogger. Whether you’re looking to streamline your workflow, or simply standardize how checks are viewed across your organization, DRS has a Check 21 processing solution to meet your needs. Panini’s scalable check capture solutions address the complete range of distributed check processing opportunities including teller capture, back counter, corporate (remote) capture, cash vault, Microfilm replacement and remittance processing. ImageChex or ImageChex Express are comprehensive search tools for displaying images provided from a variety of check image processing systems. Without the need for expensive database engines, users can search check image data to find images matching selection criteria including the amount, account number, check number, bank route transit number, capture reference number or any combination of these fields. Supported image formats include outsourcing vendors such as the Federal Reserve Bank, ProofPC32 (item processing systems by C & A Associates, Inc.) and much more. In fact, different image formats are continuously being added. ImageChex takes advantage of the latest Windows technologies to provide a powerful, easy-to-use environment for performing complex searches and retrieval of captured images. Information can be retrieved from one source to assist with finding exception items, correcting out-of-balance situations and performing competitive market analysis for non-customer transactions. SCAN AND BALANCE- All items are scanned and balanced at the teller location or at the main office or central site. Uses CAR/LAR (Courtesy Amount Recognition/Legal Amount Recognition) to read the handwriting on items and uses C&A’s Intelligent Balancing System for corrections. To capture and balance the items at a location usually takes less time than it previously took to microfilm the items. collection through the Federal Reserve System. RETURNS- Creates an electronic cash letter of outgoing return items. INTELLIGENT RETURNS- Returns” for all electronic processing of return items. IRDs can be printed when necessary. RESEARCH CHECK IMAGES- Customer service research by all workstations which you authorize. The functions performed after Scan and Balance (steps 2- 5) are done at the central location and are done with a “point and click” software by one individual sitting at a PC. Usually much less than one hour daily is spent on these tasks. MANAGE REMOTELY- You will have the ability to manage the Scan and Balance functions from a central location. All of the many security, data integrity, reports, and auditing features necessary in a highly controlled banking environment is provided. DUPLICATE MANAGEMENT- The system includes effective automated procedures to prevent duplicate presentation of items. INSTALLATION AND TRAINING- The DRS installation team will come to your location to train your staff and to install the software on your equipment or we install and train over the internet when appropriate. After installation, you will receive telephone and online technical support 24 hours per day, 7 days per week. Located in New York, New Jersey, Virginia, Atlanta, Houston, Florida and Puerto Rico. Our belief is that long term success results from exceeding customer expectations. That is our promise to you.